Ayurveda is the essence of old Hindu Medicare techniques, which are based on the curing the diseases from the roots. In Ayurveda, whole body is supposed as a mutually responding system. A single part not responding well may cause a disturbance in all body. Ayurveda works for the aim of complete health. Allopathic techniques are based on the concept of sudden and instantaneous relief, so often the patient get rid of his problem for a short period, but the origin of disease is not eliminated, finally there comes the probability in future for that origin to be worse. Allopathic techniques uses antigen that introduces a chemical, heaving opposite effect of what the body is producing. So there is always a risk with the power and supplied quantity of the drug. On the other hand, Ayurvedic Medicare is based on natural and herbal techniques and supplements, which are 100% side effect free. Ayurveda does not believe in antidotes and antigens, very rarely those techniques are used, Ayurveda works not to suppress the system of body, but to go to the origin and cure the basic disturbing element. In such treatments there are very low chances of side effect and the benefit of the body is forever. It gives you a complete health treatment, which works on the complete body system so it makes you feel better in your entire body. If you eat 1 apple a day and one day suddenly eat 3, it’ll not cause any problem for you, but if you take 2 sleeping pills a day and one day you takes 4, it’ll be dangerous; most of the supplements of Ayurveda are essence of fruits, vegetables and jadi-booties, which are natures gift to human. Jadi-booties are some of the rarely found wild plants and fruits, which are very effective in some dieses. In old age, students of Ayurveda were taught the classification of every single kind of plants exits; they used to give long time to find those jadi-booties in jungles, rocks & mountains. In modern age of globalization some of the companies and groups are doing that work collectively, so now it is easy for us to use those techniques, which were once very costly even for the kings. 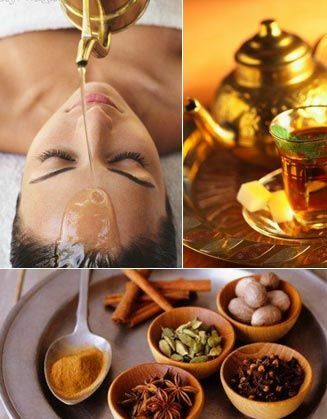 Ayurveda works in all directions, it not only gives the body what it wants but it prevents harmful supplements. The concept of ‘Parheja’, in Ayurveda, is the concept restricting the harmful food and supplements that disturbs the treatment. Ayurvedic techniques are developed in ashramas of Hindu saints and researchers. This Medicare is the result of long time, generation-to-generation research work. It is well tasted and well proven in the history of India that is one of the worlds oldest cultures, In modern age, when pollution and effects of intoxications are disturbing the systems of the body and a normal human is getting weaker due to luxurious life; Ayurveda, along with yoga and exercises is the way to have a healthy body and a sound mind. Taking in to account all the benefits of ayurveda we can expect a rise in the popularity of ayurvedic medicines in the forthcoming year. Surveys have showed that many patients have received positive results from ayurvedic treatment, thus in a few years ayurveda is sure to bring about a revolution in the field of medicines. If garlic had been created in the laboratory instead of by nature, it would probably be a high-priced prescription drug. 2. Improvement of blood circulation: When allicin is heated in the process of cooking the garlic, a substance called ?ajoene” is formed. This substance has a suppressive effect on thrombi and blood cholesterol, so it is effective for the treatment of atherosclerosis and thrombosis. 3. Regulation of stomach function: Allicin promotes the secretion of gastric juices by stimulating the mucous membranes of the stomach; furthermore, it combines with proteins which can reduce excessive activity of the stomach. In addition, allicin reglates the functioning of the stomach by activating the large intestine and thus cure both constipation and diarrhea. 4. Promotion of insulin secretion: Allicin combines with vitamin B1 (thiamine) to activate the function of the pancreas and thus promote insulin secretion. As a result, garlic is effective in the prevention or the cure of diabetes that is caused by a lack of insulin or by the defective functioning of the pancreas. 5. Normalization of blood circulation: Because it stimulates the brain nerves and controls the workings of the heart at a constant level, garlic stabilizes blood pressure. It is also capable of dissolving cholesterol and fatty substances inside blood vessels and therefore refreshing cells and the blood inside the body. Today, there is worldwide scientific evidence to support the many health benefits that can be derived from the daily consumption of garlic. 2. After skinning the garlic, select a cooking method that will result in the appropriate flavor. It can be sautéed to create a nutty, savory taste; poached to create a mild flavor; oven-roasted to bring out the nutty flavor with a caramelized quality; fried to create a crisp exterior; or grilled to create a soft, smoky flavor. 3. Garlic is very sensitive to heat and will burn easily, especially when sautéing. Expose the garlic to heat just until the oil sizzles and then remove it. When cooking garlic with onions, start the onions first. They will take longer to cook. Indeed, the first scientific report to study garlic and cancer was performed in the 1950s. 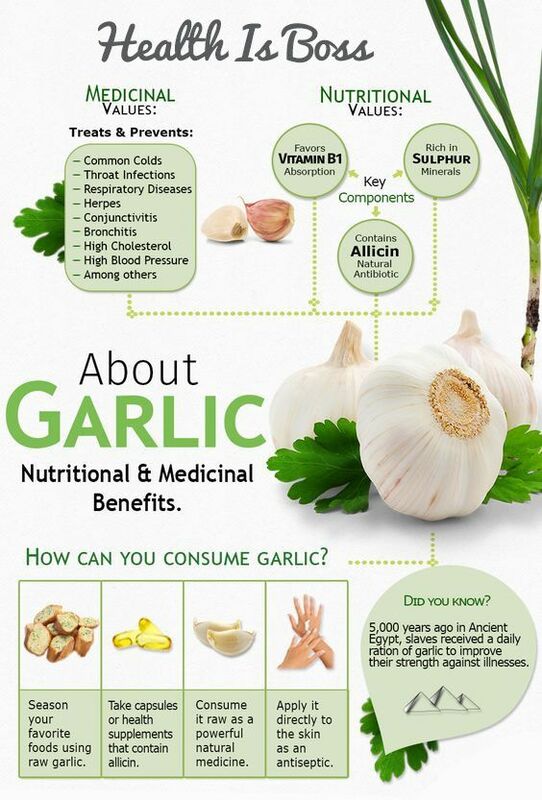 Scientists injected allicin, an active ingredient from garlic, into mice suffering from cancer. Mice receiving the injection survived more than 6 months whereas those which did not receive the injection only survived 2 months. As a retired professor I have been around the health industry for more than 30 years helping others and I’m happy to share with you online, this website is intended to help people from all over the world. Please share these articles with your friends and family.